If you have missing teeth, you’re not alone. Tooth loss can happen from injuries, illnesses, tooth decay, or gum disease. Fortunately, you have options for restoring your smile. Dental implants are one highly effective tooth-replacement option that provides beautiful, long-term results. But is it the best option for you? Here are a few defining reasons as to why you would want dental implants. Dentures and bridges cost less than dental implants, but they need to be replaced more frequently. Implants can last 15 years or longer if you are committed to excellent oral hygiene and avoid habits that can damage them, like crunching ice. The implant process can take months, beginning with the implanting of a titanium post in the jawbone. You then wait until the post takes root in your jaw before mounting the replacement tooth. While the process takes some time, most patients find the results are well worth it. If it’s important to have your replacement teeth look just like your natural teeth, and you’d like them to function just as your others do, implants are your best option. Other replacement teeth can slip and do not offer the same level of comfort as implants. You need to be healthy enough to recover from the implant surgery, and you should have enough healthy jawbone that your implant will root securely in it. Share your medical history with your dentist to ensure you’re a good candidate. 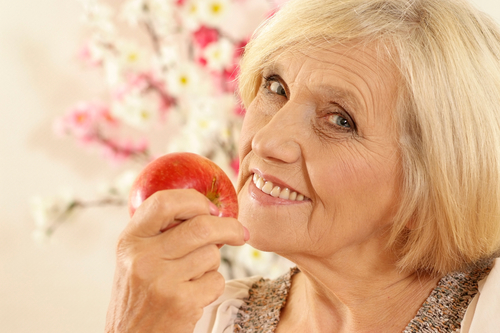 Dental implants are changing the way people replace their missing teeth. They are a comfortable, beautiful option that will leave your mouth looking and feeling healthy for a lifetime. If you think you’re a viable candidate, then contact Dr. David K. Skeels in Rochester, NY. His team offers quality dentistry in a calm, welcoming atmosphere. He has the expertise and technology to provide a painless dental care experience, and he prioritizes preventative care and the preservation of your natural teeth. Call (585) 467-7000 or contact the office online to schedule an appointment.